The master plan for the area was drawn up by Richard Rogers in 2001 with completion due in the late 2000’s. 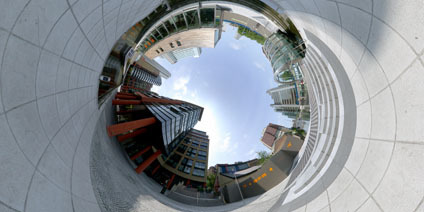 View the Quicktime panorama of Paddington Basin London. (2.1mb).